After our League of YEG Home Cheese Makers meeting I opened up my second version and it was time to make another.This time it was go big or go home, and given I make cheese at home there wasn’t really another option. I fired up my stove and had 2 pots on the go, each holding 16 litres each. 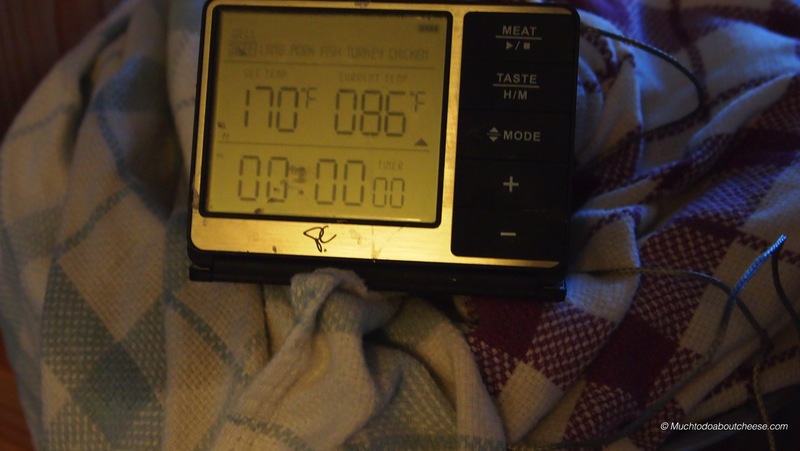 I worried about temperature creep, so I used plastic wrap to keep in some of the heat and hold the thermometers in place. After ripening and adding the rennet the curds were cut to the size of lentils, using a whisk. 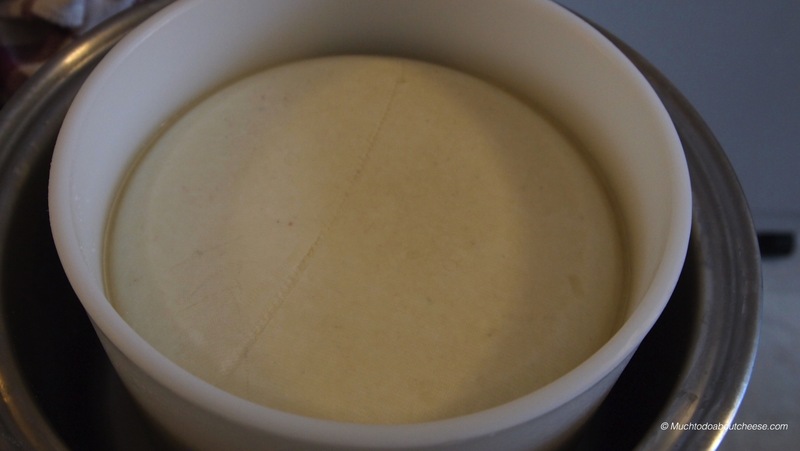 This is a washed curd cheese so after heating the curd, I removed whey then replaced it with warm water. 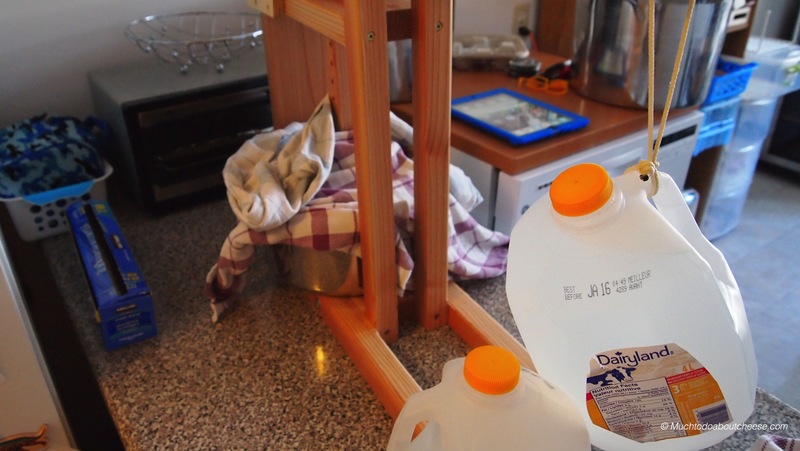 Then there was the constant stirring to help the curd to release more whey. Just keep stirring, just keep stirring, just keep stirring…. The curd was perfect. Most of it was the right size, with the odd one that was larger than required. 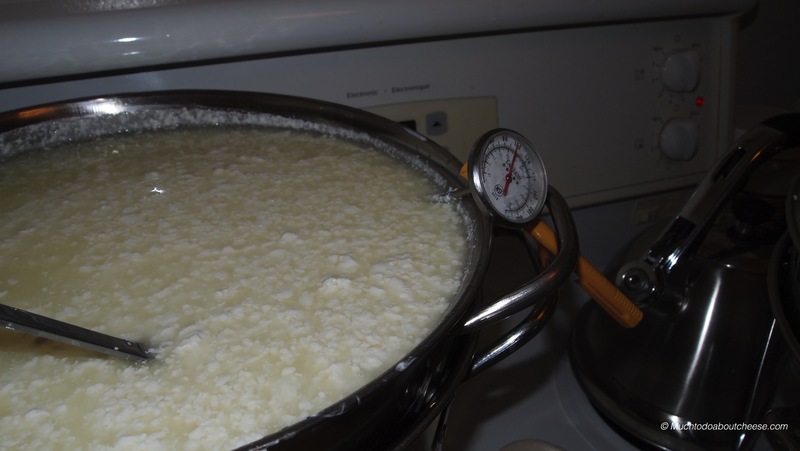 I was happy with the curd so it was time to drain and press. 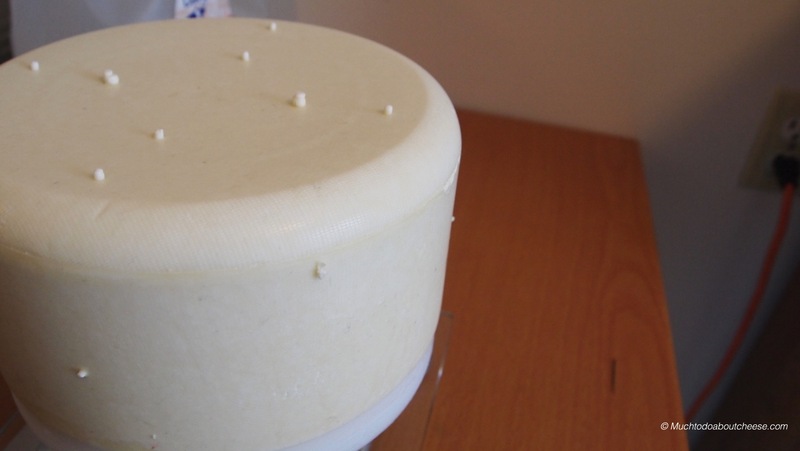 I use a draining bag as my mould liner, it does not stick to the cheese and it is easy to fill. Into the press the it went. 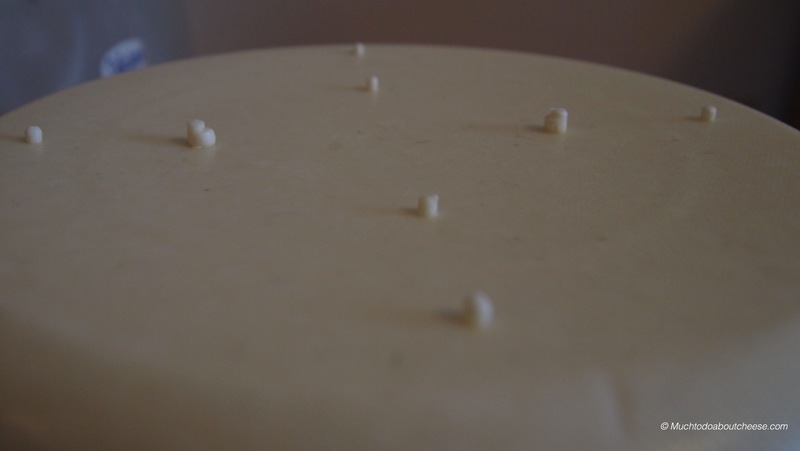 I always try to press my firm cheese with the mould in a pot. 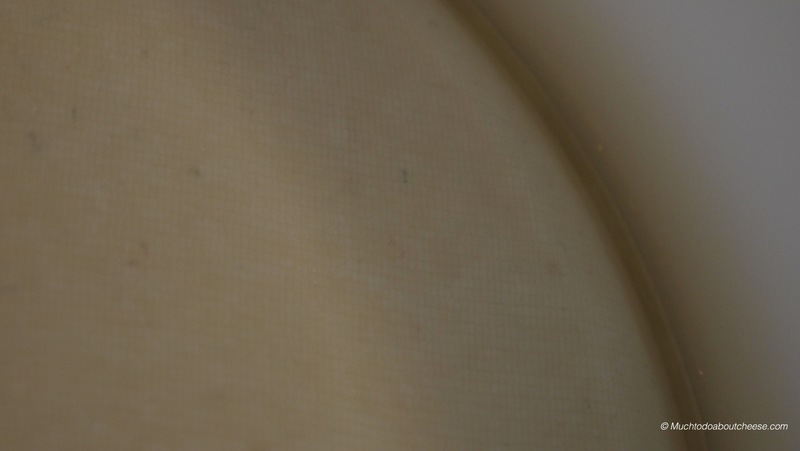 The air between the pot and the mould was 86F/30C. It stayed that way for most of the pressing. 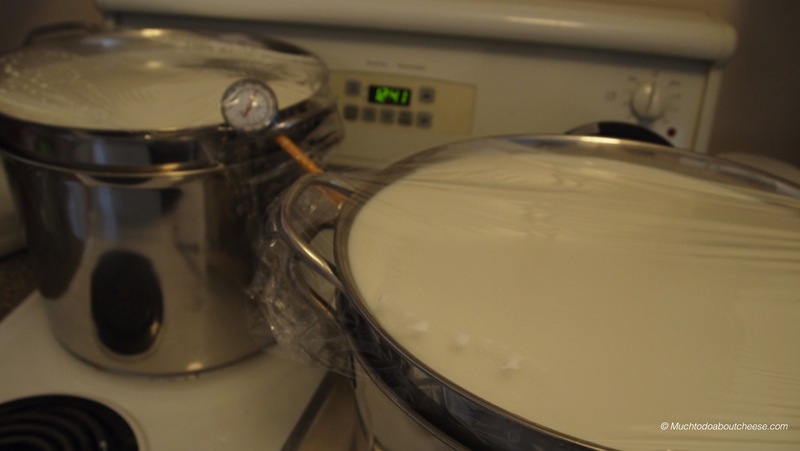 Does pressing in a pot really make a difference? Well the proof is in the pudding or cheese if you will. 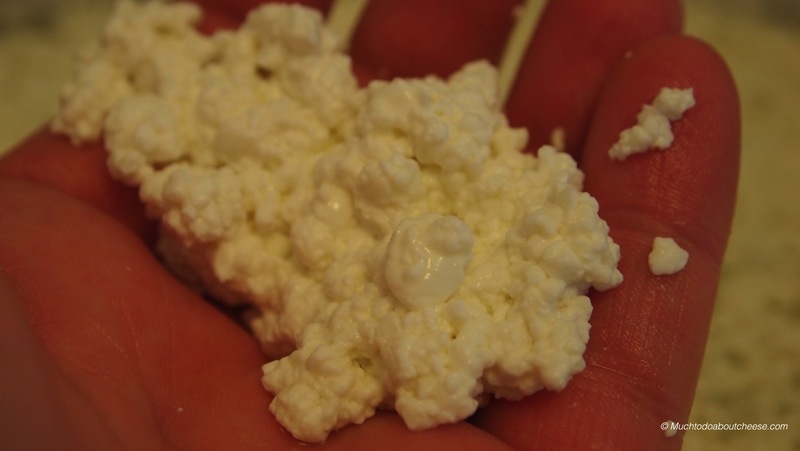 Look at how well the curds knitted together. 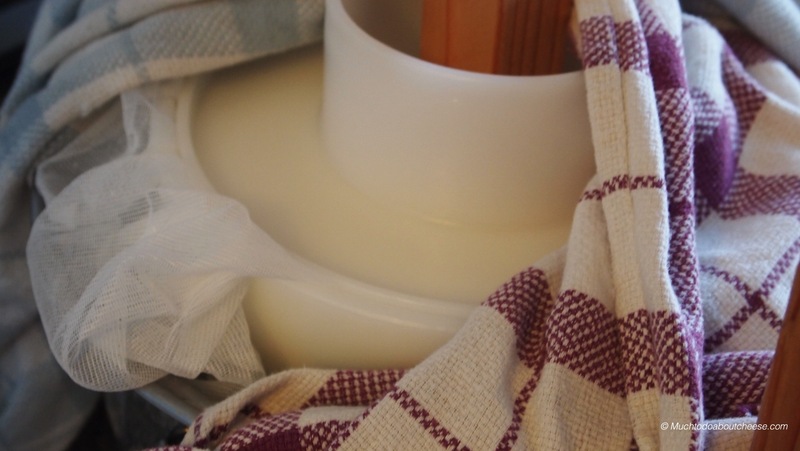 I like to do the last pressing naked….meaning without cheesecloth, what did you think I mean? Fresh out of the press the cheese was perfect. 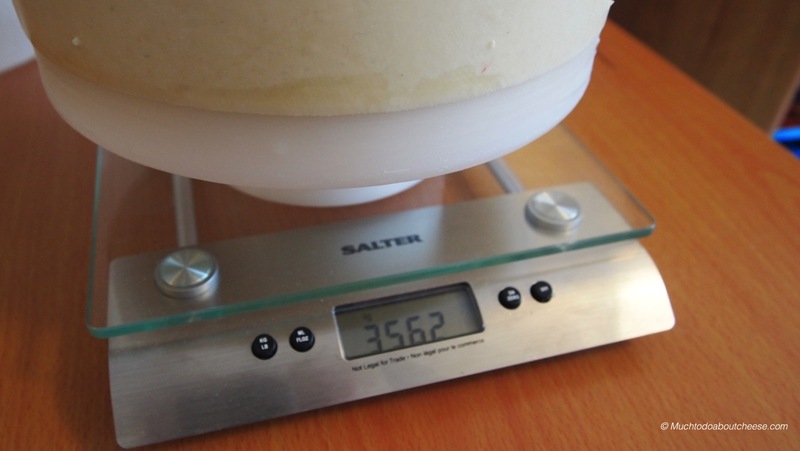 Out of the press the cheese weighed 3562 grams. Yes I did zero the scale with the follower first. Next it was brining time and then after air drying for a few days, into the cheese fridge. I started aging the cheese on a cedar plank right away. The aroma was pretty great and it added some colour right away. I have started to wash the cheese with a secret wine/herb mix. I hope to have an update in a few weeks once things settle down. 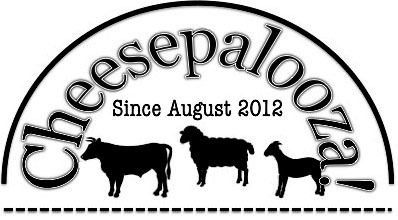 In the mean time don’t forget to enter The Canadian Amateur Cheesemaking Awards.